This trinket tray is made from high quality melamine with end handles. 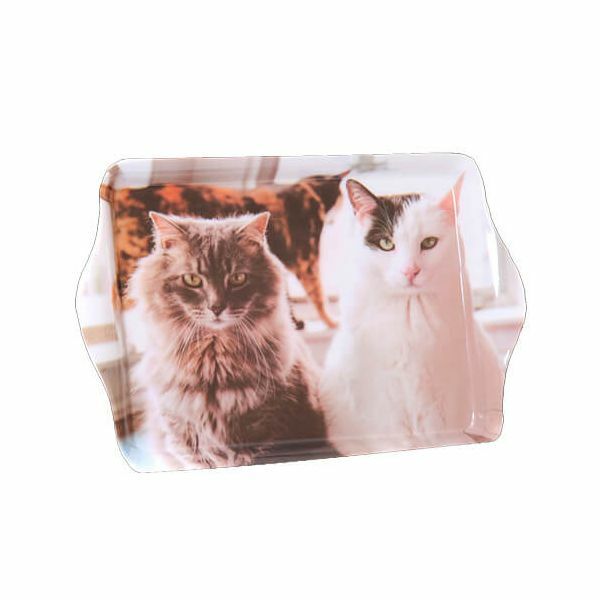 This trinket tray features a trio of cats in a variety of breeds and is ideal for serving biscuits or cake or is ideal for placing trinkets on a dressing table. This high quality melamine tray with handles is 21 x 14cm.